Branching off the Carson Trail were the Dagget Pass-Georgetown Pack Trail (1850) to Georgetown; the Johnson Cutoff (1850-51) to Placerville; the Grizzly Flat Road (1852) to Grizzly Flat and Placerville; the Volcano Road (1852) to Volcano; the Walker River-Sonora Trail (1852) to Sonora; the Placer County Emigrant Road (1852) to Auburn; the Luther Pass Trail (1854) to shorten the Johnson Cutoff, and the Big Tree Road (1856) to Murphys and Stockton. 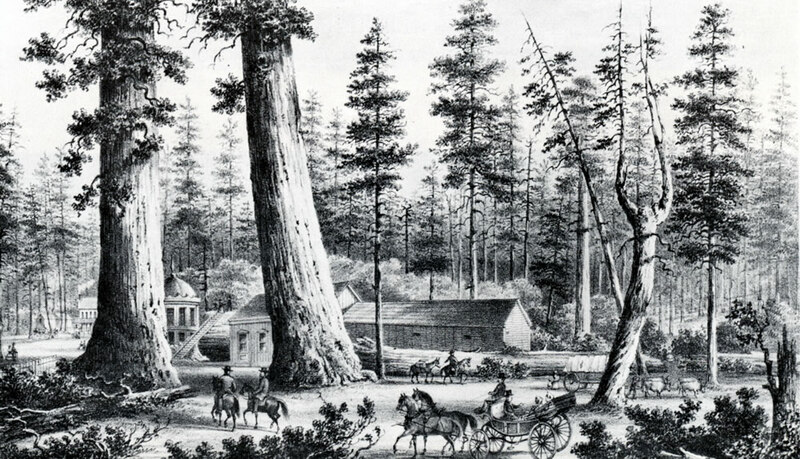 This route, now Highway 4, passes by its most famous attraction, the Calaveras Big Trees, as it heads west from Ebbetts Pass. The road leads to Angels Camp, (of Jumping Frog fame) and ultimately ends in Stockton. 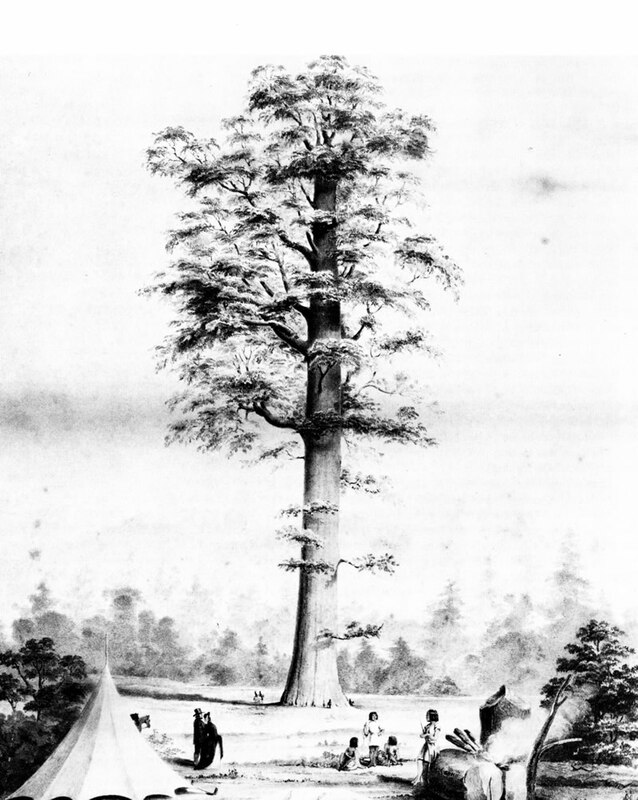 In 1856, a pavilion was constructed over the stump of the Discovery Tree and a ladder allowed a portion of the fallen tree (nicknamed “The Chip”) to be scaled. This 1860s drawing of the Discovery Tree Pavilion also shows the saloon and bowling alley that were constructed on top of the fallen giant. 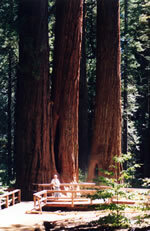 Even in the 19th century, a visit to the Big Trees required a photograph at the base of one of these gargantuan trees. 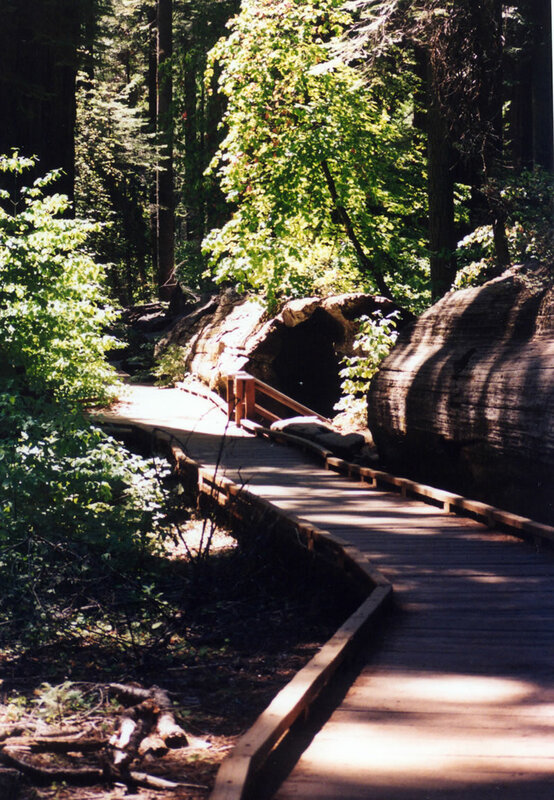 The Calaveras Big Trees remains one of the most visited spots in the Sierra Nevada. 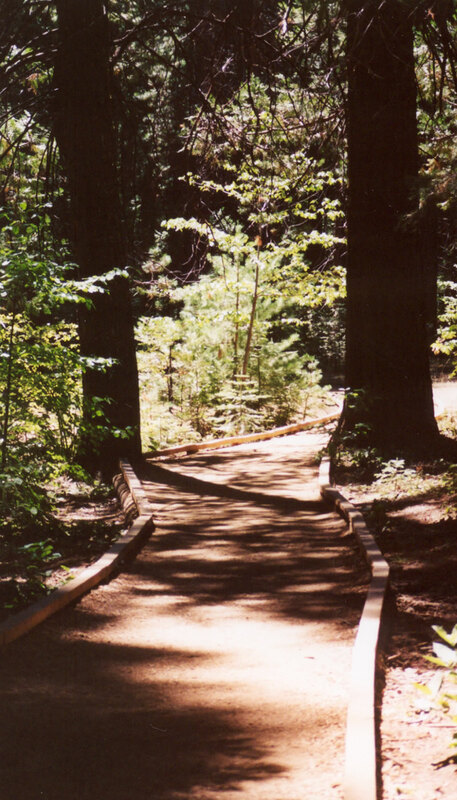 The Big Trees Trail meanders for a mile through the majestic North Grove. 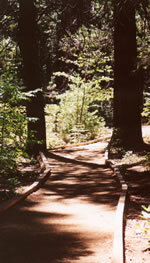 The trail has wooden walkways and dirt paths. A separate trail called “The Three Senses Trail” allows the visitor to touch, taste, and smell the Big Trees. 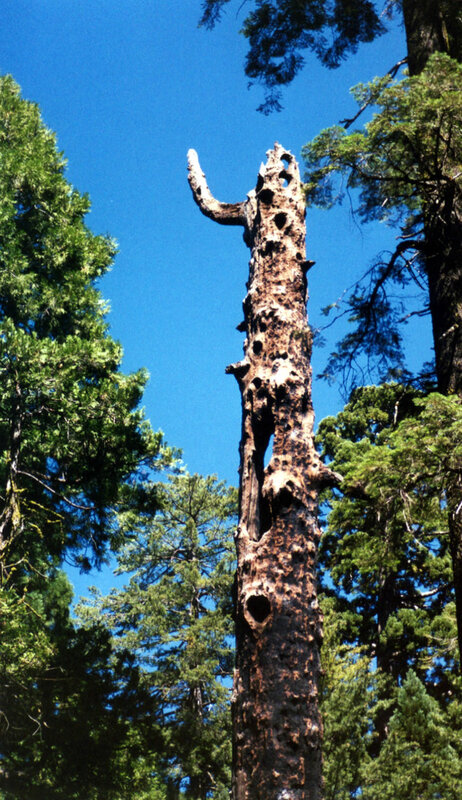 The “Father of the Forest” is the remnant of a tree that fell to earth centuries ago, but the decaying process is slow due to the chemical composition of the Sequoia. This tree is hollow and a trail detours through the tree. The steps shown lead into the hollow giant. The “Father of the Forest” in the 1870s. A hideous snag that resulted from greedy humanity. 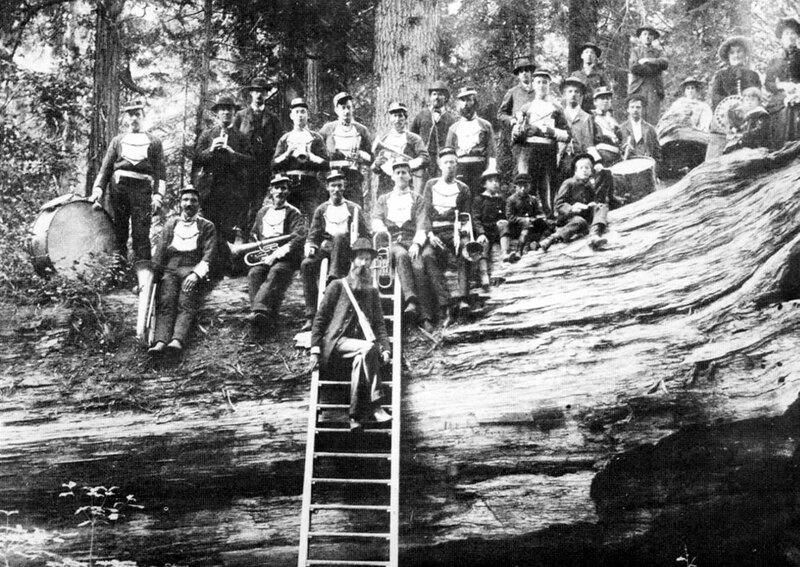 This is the enormous charred stump of a Giant Sequoia that had its bark removed in 1854. 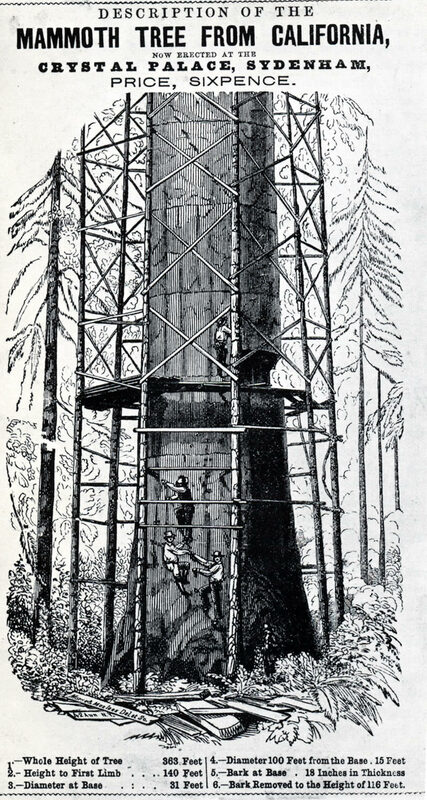 In that year, George Gale had 116 feet of bark stripped from one of the largest trees, which was named “Mother of the Forest.” This Herculean task took four workers a total of twenty-one days to accomplish. 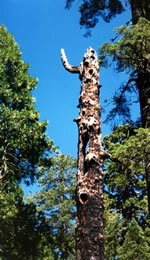 The bark was then reassembled as a traveling exhibit. The show was designed to prove the existence of these gigantic wonders and to make some money, of course. The display was presented throughout the United States and ultimately ended up in England. 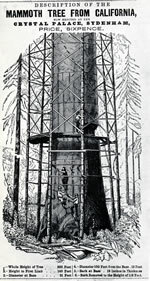 In London, the tree bark was exhibited in a glass case in the Crystal Palace. 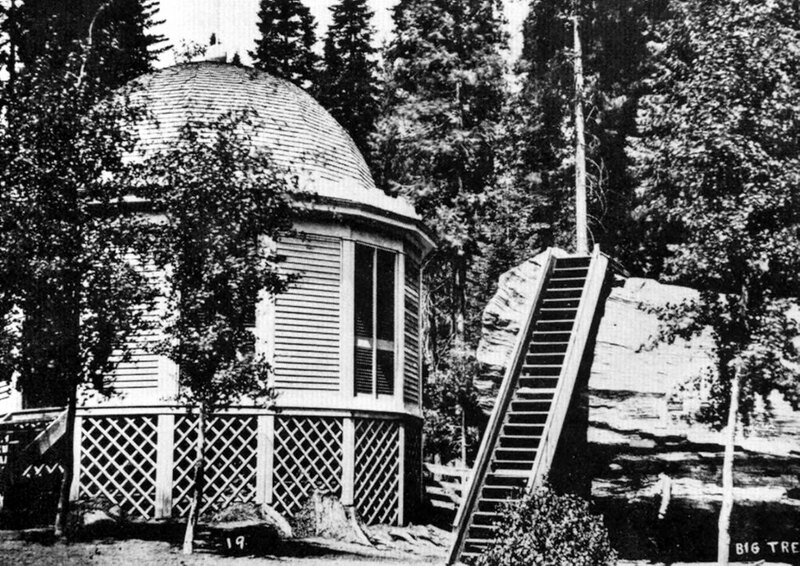 A fire destroyed the display in 1866. Today the only memory of this event is this tree stump, standing like a broken tooth deep in the North Grove. 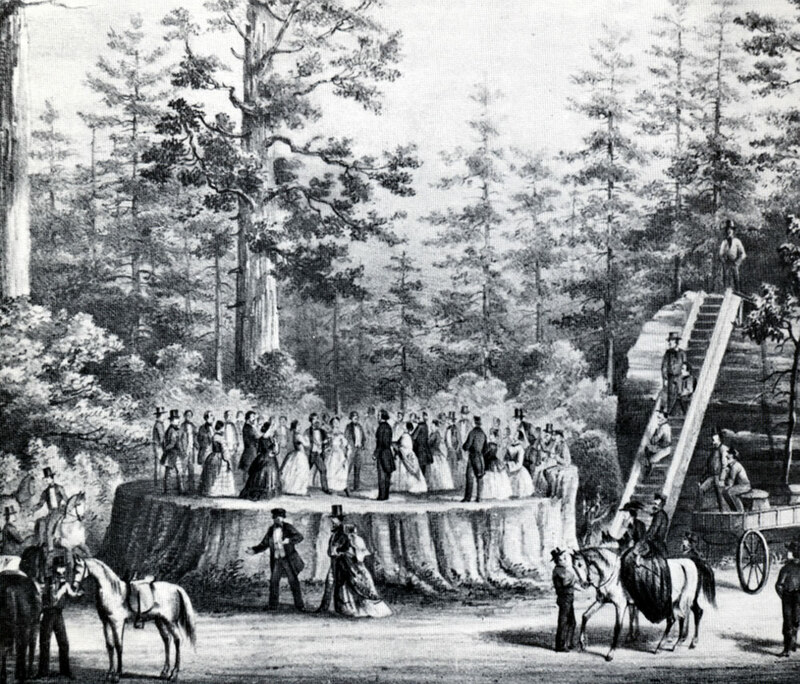 An advertisement for London’s Crystal Palace display showing the bark stripping process on the “Mother of the Forest.” One of the last stops on the North Grove Big Trees Trail is this majestic clump of trees. 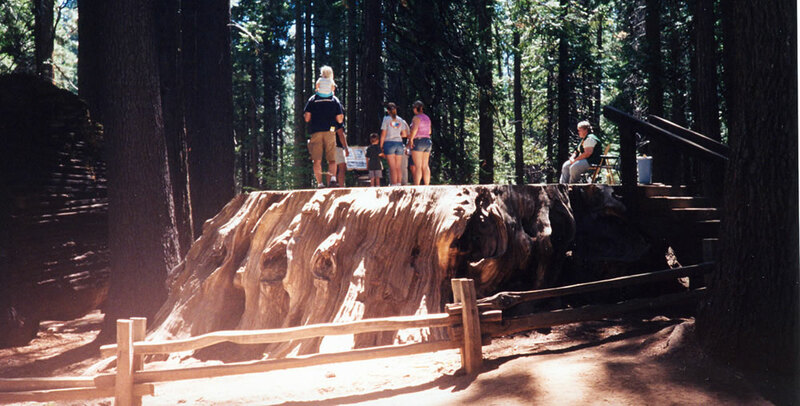 A platform has been constructed to let the visitor close to the Sequoia trunk. 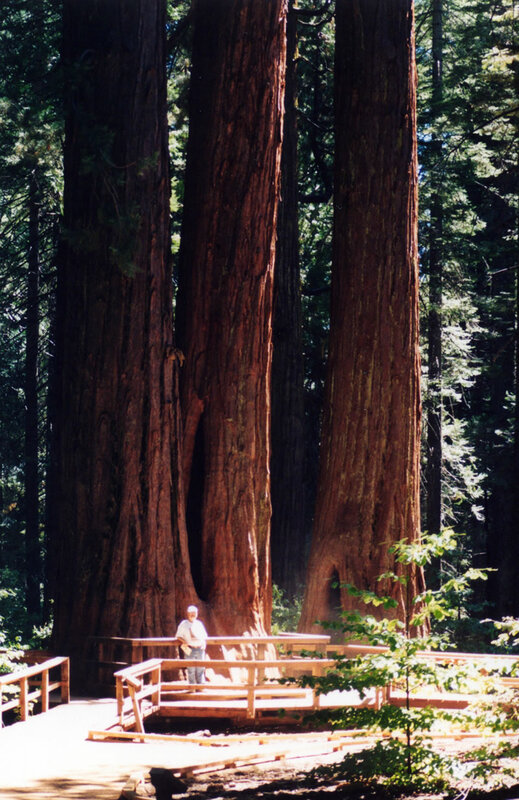 The person in the foreground gives some sense of the scale of these beautiful organisms. With only a few modern modifications, this grove looks as it did to the emigrants along the California Trail.